After two seasons in the NTFA with North Launceston where he played mostly as a forward, Bob Johnson was forced to stand out of football for the whole of 1958 while seeking a clearance to join VFL club Melbourne. Once the clearance formalities were out of the way Johnson was swiftly re-moulded by the Demons’ ‘master coach’, Norm Smith, into one of the VFL’s top defenders. At full back in Melbourne’s 1959 and 1960 premiership teams, ‘Tassie’—as he was called to distinguish him from the other two Johnsons at the club, ‘Big Bob’ and Trevor—had moved to the back pocket by the time of the 1964 flag win. His coolness under pressure, strength, good judgement and superb drop kicking made him equally successful in either position. A twelve-time VFL representative between 1960 and 1967, Johnson showed his versatility later in his career when—with Melbourne’s fortunes in decline—he embarked on frequent stints on the ball or in the forward lines in bids to lift his teammates by example. In his final VFL season, 1969, this inspirational quality to his play was formally recognised when he was appointed club captain, only for the Demons to suffer the rare indignity of a wooden spoon, their first since 1951. ‘Tassie’ Johnson’s VFL career thus came to a somewhat ignominious end, but he had accomplished more than enough in earlier seasons. Although primarily used at full back at Melbourne, Johnson started as a forward at North Launceston and could be used in a variety of positions. He was a natural full back who was cool under pressure, tall at 189cm and possessed a long driving drop kick. 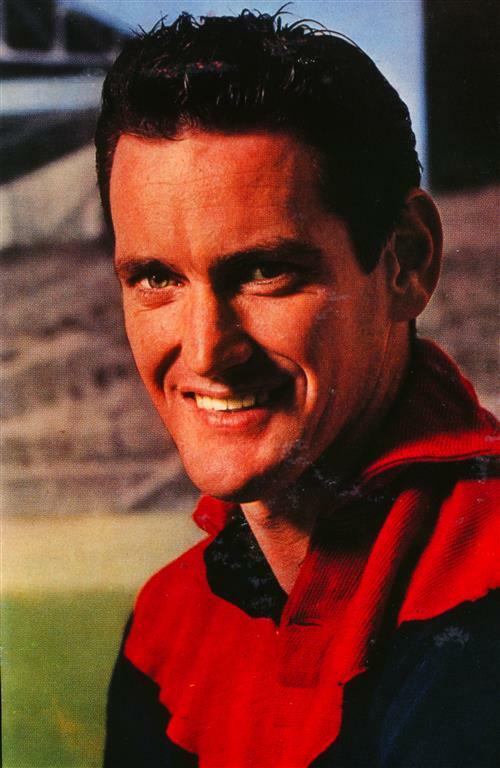 Duly recognised by Tasmania and Melbourne in their respective Teams of the Century, Johnson is remembered with affection and esteem as one of Tasmanian football’s greatest exports.